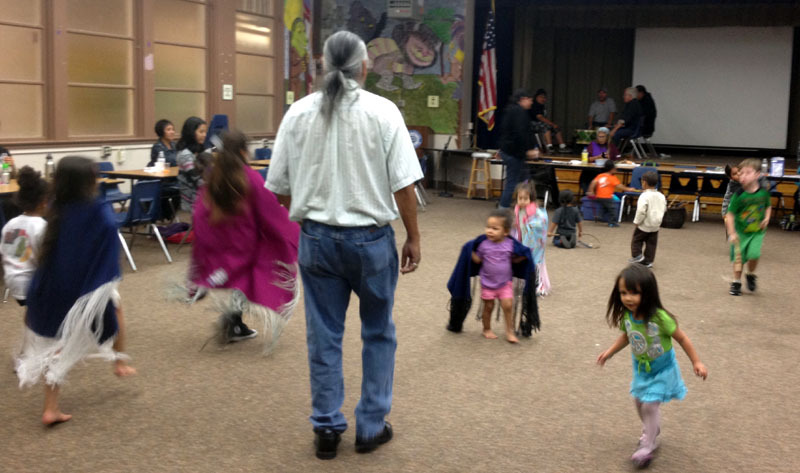 We all were proud and inspired by our young Soaring Eagle Dancers this week. 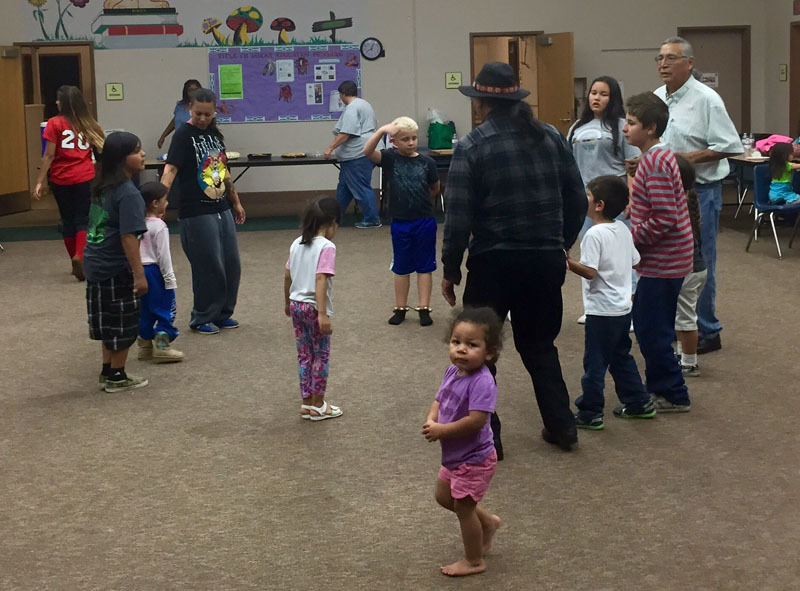 They all showed their spirit by dancing at pow wows the last two weekends and enthusiastic about the two day pow wow this weekend in Balboa Park. Several young dancers placed in contests this last weekend. Ricky, Jake, Monica and 'Baby' all place 1st in their categories and Dakota made a fine showing taking 2nd in his. Congratulations to them all and it was good to see them at the workshop continuing to grow and helping the newer dancers with their moves. 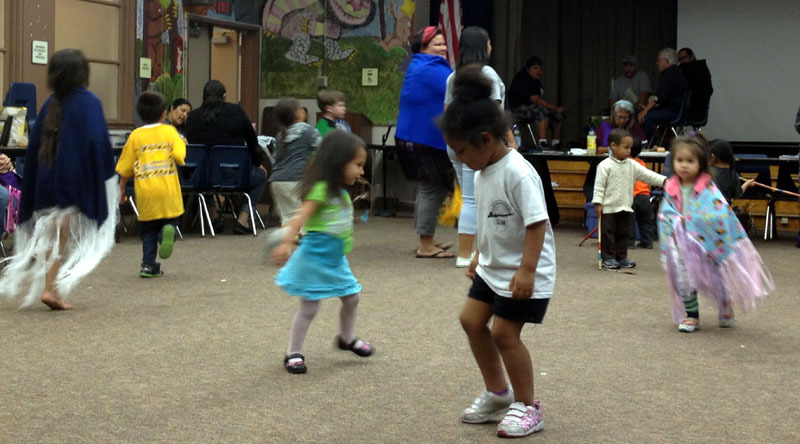 Thank you also to the parents who helped and supported the children by coming out and dancing. Teaching by showing is one of our traditional ways. Tonight there was a fine chicken enchilada dish, chips, green salads and watermelon to enjoy. Donuts and cookies were saved for later. We acknowledge and appreciate all parents and folks for being ready to have a good generous time doing this potluck effort for the children. 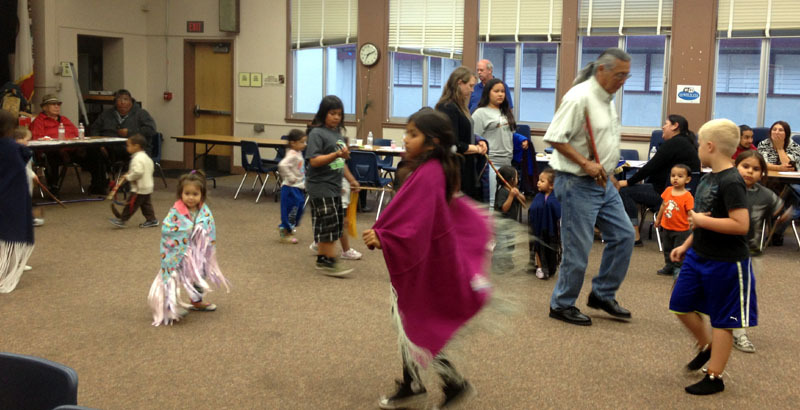 Our focus for the Soaring Eagle program is constantly and always will be the Native American children. A set of Round Dances both Northern and Southern style finished out the evening. Thanks again to Chuck Cadotte for his leadership and instruction to our young dancers and to our singers who bring out some great songs each time.